Aren’t kids fashion the best? Every single piece of clothing & shoes for each season is just so cute. Sometimes I wish I was a kid again to wear some of their clothing!! When our kids were newborn, we were blessed to have received loads of new and some used high quality clothing for them. They had more than enough even up until the age of two and a few pieces for ages 3 and 4. We hardly needed to buy anything clothing related. But you know, kids don’t stay tiny. Eventually, they outgrew all those cute clothing and that meant it was time to find stuff that fit them. While we love our kids to look nice all the time, we also know that quality clothing and shoes for kids do not come cheap. At the same time, we don’t want the clothing we buy to reap or tear easily. We definitely want them to last as long as they’d fit. But we’ve learned that kids do not need the most high-priced clothing to look nice. After all, they outgrow them way too fast. With that said, when we shop for our kids for clothing and shoes we mix up the stores where we buy them. We love places like Carter’s, Kohl’s, Sears, JC Penny’s, Target, Burlington Coat Factory, Payless, etc. While these stores do not sell only children’s clothing, we tend to always find some really great quality products on sale or clearance. Sometimes we pay full prices of course, but it’s all based upon a certain price range. 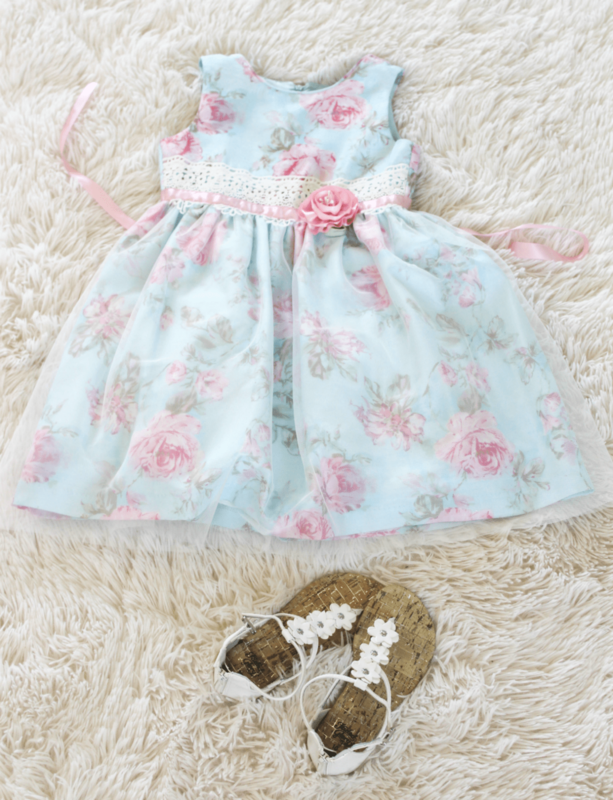 Other times, we simply head to Walmart because they really have some pretty little things the kids could wear around home or for casual outings. You can find both clothes and shoes for kids for very low prices that will last a little while (for the short time the kids will fit in them). Have you ever stored away your kids Spring & Summer clothes & shoes in the winter in hopes that they’ll wear them again once the warm weather returns? And then you realize they no longer would fit. It’s helpful if they have a sibling that they can hand them down to, though. For the record, we do buy a size or two up to get as much use as we can. Anyway, you might have seen some of the other fashion post like here & here where I mentioned that I wanted to share a bit from the kids fashion finds, too. 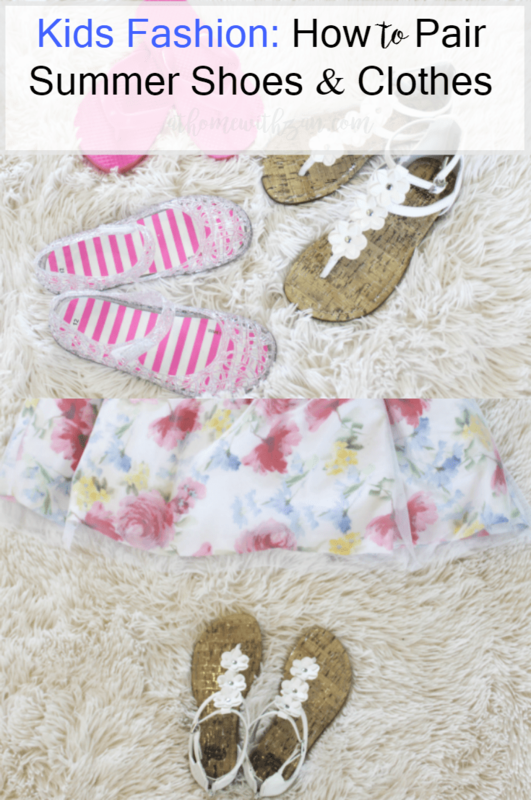 Since we’re in the warmer months, I thought I would share a few of their summer shoes and how we paired them with some of their summer clothing. The shoes are reasonably priced. They have a variety of outdoor shoes for kids from flipflops to formals and everything in between such as rainy day shoes, crocs, water shoes, you name it. (As girls, you know we need a shoe for each activity right? Why is that so? But we love it anyway)!! 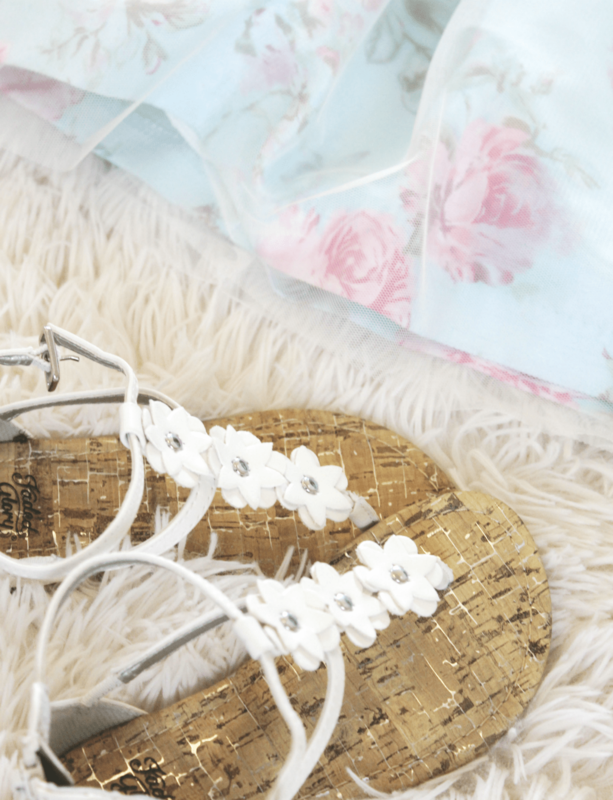 You could also find some cute sandals that the kids could pair with their summery wear even for special outings too. Mainly: The kids outgrow their shoes so fast – I don’t see the need to buy expensive shoes to jump around and play in. 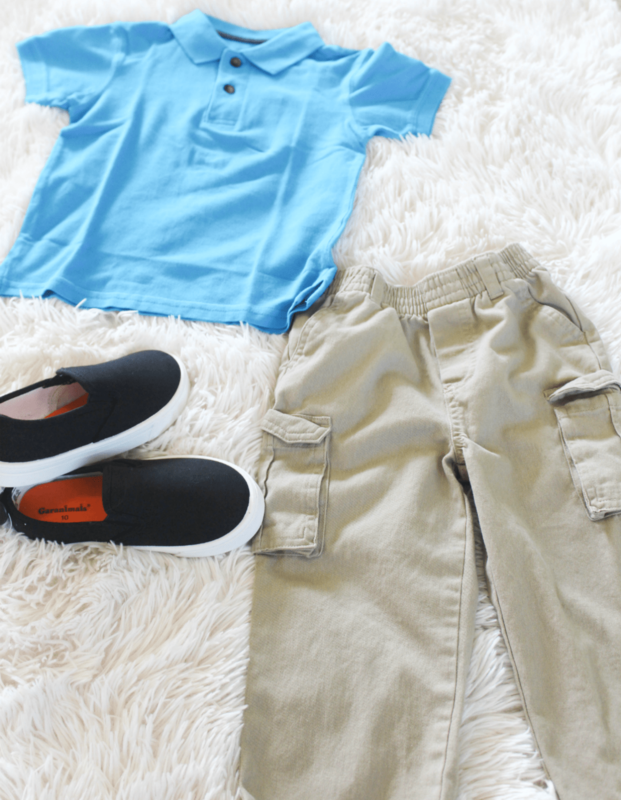 Mixing and matching kids clothes and shoes is not difficult at all. 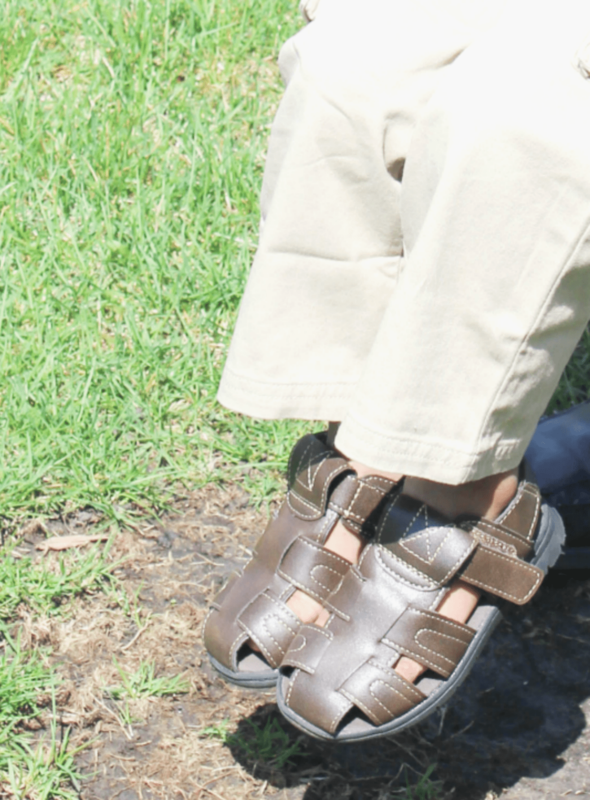 Here is a look at each of the sets of shoes below and how the kids use some of them with summer clothing. ( These gorgeous dresses are from Burlington Coat Factory. They really do have a great selection of kids clothing). Both the jelly shoes could be worn with a variety of casual outfits. But we typically use the jelly sandals if we’re going to the park, store, or just for playing around the house. The white sandals could be matched with formal summer dresses, casual dresses, short pants, leggings, or just about anything. The sandals would be used as the first set above since they are the same style. That blue polka dot canvas type of shoes is usually paired with casual summer dresses, skirts, long or short pants, etc. The crocs, of course, is for everyday throw on for outside play. I love kids crocs, don’t you? And of course, we’ve got to include the little guy. His shoes seem to last a bit longer. The water shoes is for going to the splash pad or pool but they could also be used for everyday outside or around the home use front or backyard play). He tried the brown sandals once but loves his sneakers (not shown here). That black one is a size or two up and costed less than $5. Just a little something to throw on but have not worn yet. You’ll see how we paired the looks of one pants with two different shirts and shoes below. And how cute is his little walk? Most of the summer clothes in this post are not super casual (as shorts & tees) but they are casual enough to be paired with the sets of shoes. 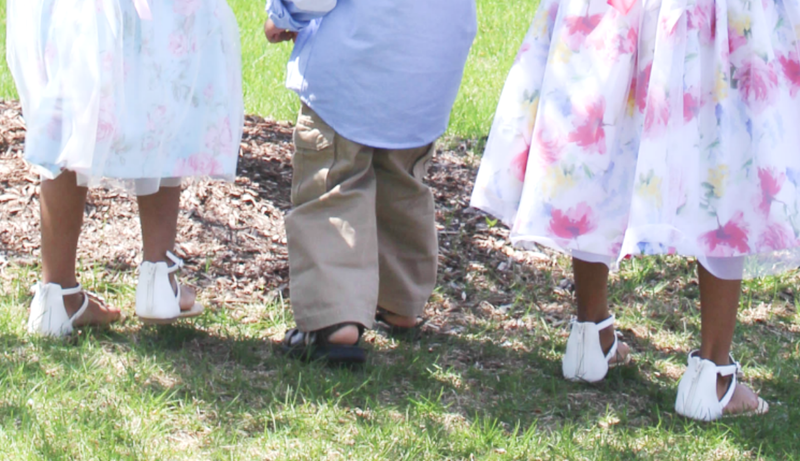 Actually, the looks with the pretty dresses and what our son is wearing are really what they wore for Easter when the weather was warm enough. 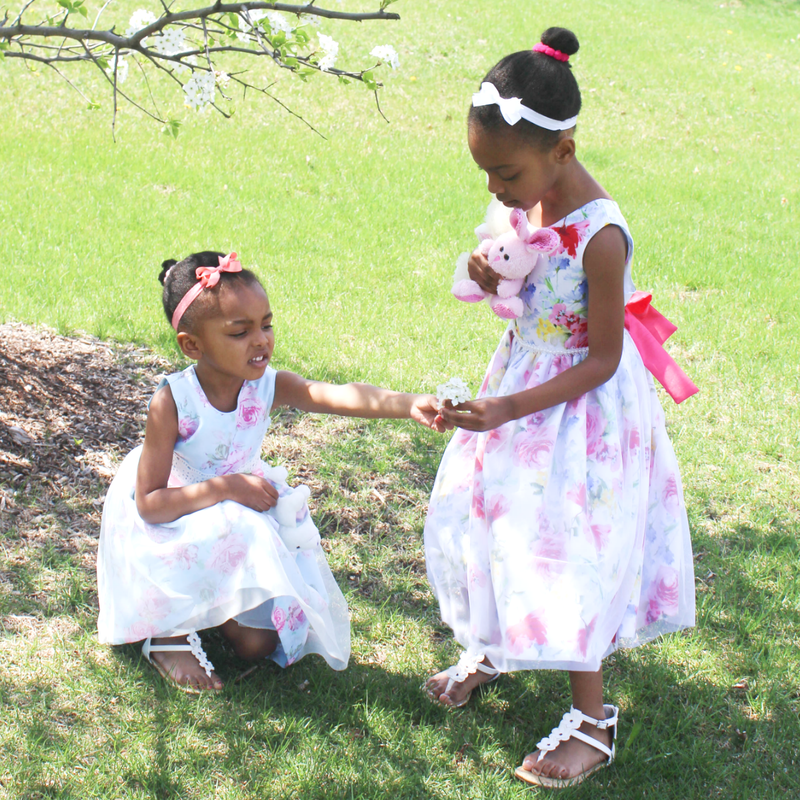 It’s gotten a little too warm for the long sleeved shirt but the girls still love wearing their dresses to church. (Keep in mind that sometimes summer is not always super hot depending on where you are so long pants and shirts may still be the most comfortable). Ps. If you’ve wondering if our kids have sneakers and loads of other shoes – yes they do. Not all from the same store:) But that’s how we’ve paired the ones they’ve been wearing mostly with some of their clothing. So what do you think? Where do you like to buy clothes for little kids? Baby Gap? Old Navy? Thrift or swap? Other kid stores? Or do you keep it simple and low cost for stuff they out grow real fast? I’d love to know your thoughts in the comments. Sure no problem. Thank you Victoria!! Cute picks! 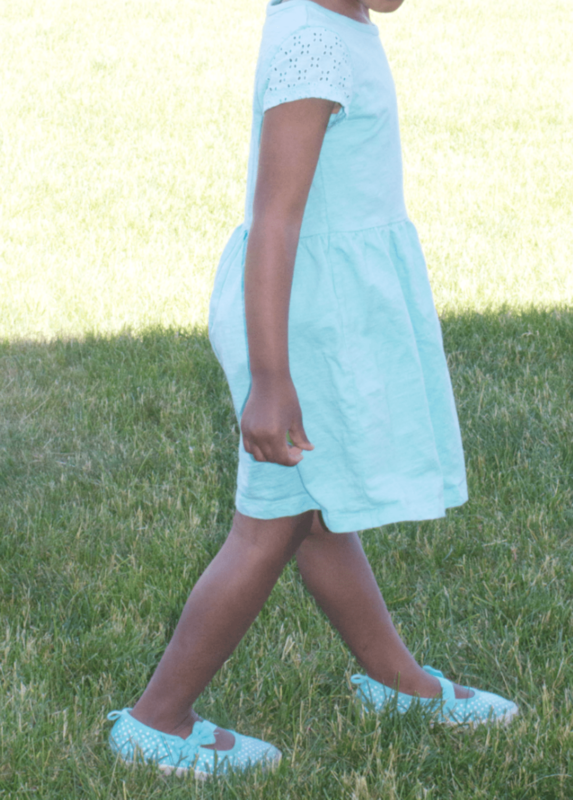 My girls have those jelly shoes – they go with everything! Don’t they?! And they’re so easy to wear too. Thank you Shannon!! such cute picks!! 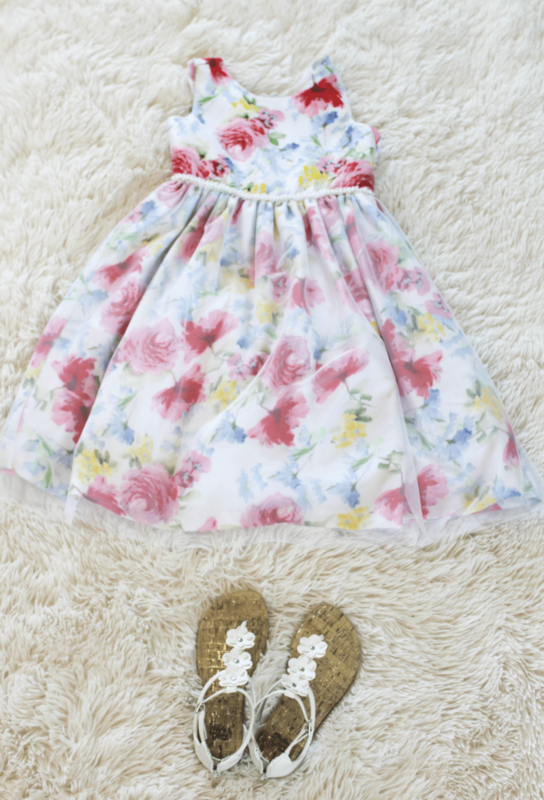 I love the girly dresses! They’re fun – the kids really love them! Jordans and Kobes…ooohhh!! I know, it is kind of tough because we want them to always be in style but at the same time, they outgrow their shoes so quickly. I do spend more than I probably should at times but cheap buys are great for the everyday. 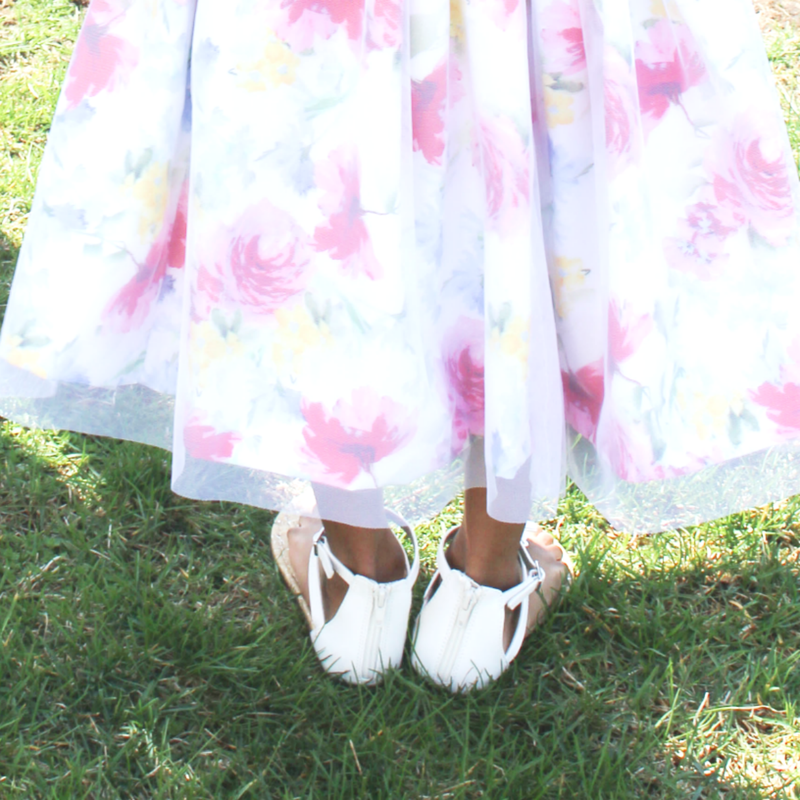 Also, I think the jelly shoes are cute – how fun that you still love them. These are all such fun looks! I love the outfits that are out for kids today. I wish I had just a few of these looks when I was small. It’s so much fun to mix and match! I know – the clothes are so fun. It’s like there are so many options!! The girls try to wear their clothes for as long as possible and are always so disappointed when something cannot fit them anymore. omg those are such adorable outfits! I love that first dress! Haha, are kids clothes just so cute? Love them all – thank you Veronika! !